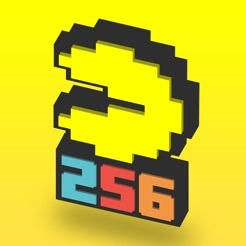 Developed by the creators of Crossy Road, Pac-Man 256 takes the familiar classic in a whole new direction—infinite maze-running! As you chomp through a never-ending grid of dots, fruit, and multi-colored ghosts, a creeping glitch pushes you ever forward. Fortunately, a slew of upgrades—from lasers to bombs—will help you demolish ghosts and forge a new high score. It’s a lovingly assembled package that’ll delight both arcade aficionados and casual gamers. Once you've collected everything the only replay value is competing for 256 chains. I'm in the top 400 now and that's the only reason I keep playing. 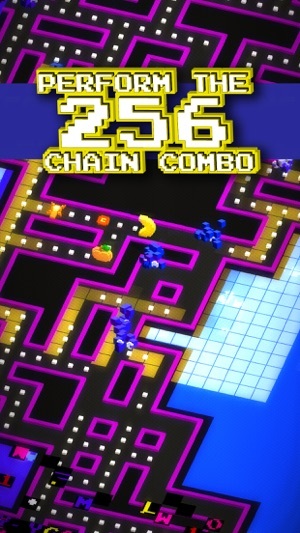 There are terrible bugs with the pac-dot chains. About 1 out of 5 times you eat a powerup it breaks the chain. I've lost many dozens of 256 chains because of this. Going the wrong way on the "fast" arrows usually breaks the PAC-dot chain. 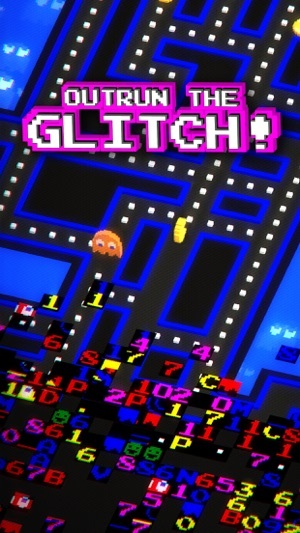 If the game lags at all then that breaks the PAC-dot chain. They need to have a better method of figuring out when the chain is broken besides timing based. However the powerup bug is the worst. Trying to level up all the power ups in this game is a huge joke. I have maxed out the main 3, but now that they increased the max level to 12 there's no way a person will play or pay to max out all 20 power ups. 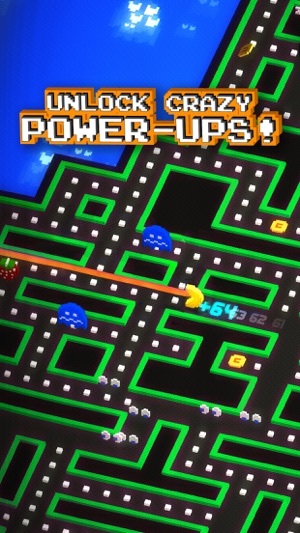 And that is one of the achievements - the final one I need - is having maxed out all power ups. It would cost hundreds of dollars if you actually paid for coins to do it. So they've really broken the cost / value ratio of this game, and that's made it impossible to get all achievements unless you want to spend an insane amount of money. 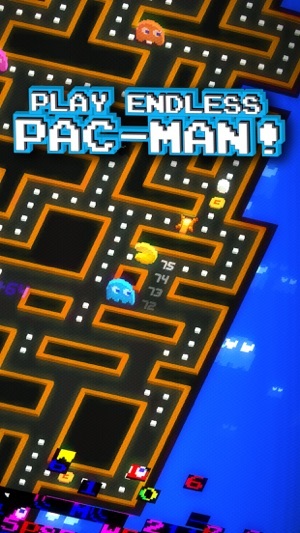 That’s because of all the Pac-Man collective, Ms Pac-Man was by far my favorite. Anyway, here’s my two-cents.... Have a paid version. I just want to pay and play the game. I gave up watching the reward ads because there are far to many of them, and they repeat themselves, and they don’t interest me one bit, and they are a waste of time. Fix the controls, I have broken more chains because my up swipe didn’t seem to register up and instead sent me in reverse! 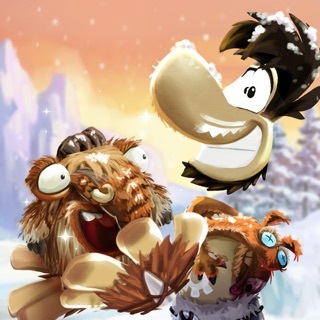 Have the ability to purchase coins. What happens when we run out? I paid for the coin doubler which seems to be working, but I spend more time chasing coin dots. Which, funny thing, seem to always lead to a break in dots, hence a break in the 256 chain. Annoying. 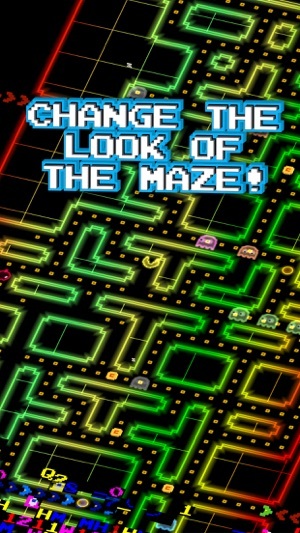 The thing about Pac-Man the original is it was CONSISTENT. That’s what made it what it was. This is the most random situation ever. Yes the ghosts have consistent behavior, but when they appear out of nowhere, AND when they force you to make a turn towards, Oh, that’s right, a break in the dot chain you have been working hard at, that’s not consistent anymore. So you have received, in my opinion, a more then generous star rating. I gave it a go, but I think it’s time to go watch ads somewhere else, perhaps those ads might actually be useful!